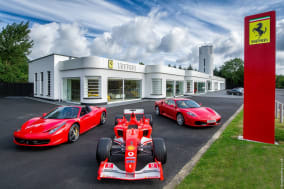 Sytner are extremely proud to represent Ferrari at our state-of-the-art Graypaul and Maranello dealerships in Birmingham, Edinburgh, Nottingham and Surrey. For more information or to make an enquiry, visit one of our official Ferrari dealership websites by clicking on the one of the links below. 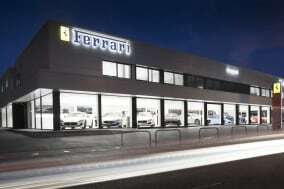 The official Ferrari dealer for the West Midlands area, conveniently located in Solihull and easily accessible from the M42. A modern state-of-the-art showroom in Edinburgh and Scotland's only manufacturer approved dealership for sales, service and parts. 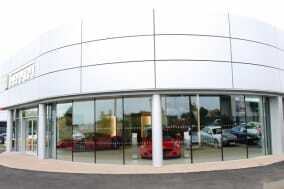 The official Ferrari dealer for the East Midlands; Graypaul Nottingham is one of the UK's longest-established, dedicated Ferrari dealerships. 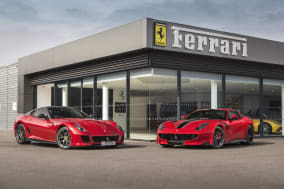 Established in 1967, this iconic showroom underwent a multi-million pound refurbishment to continue the success of Ferrari in the UK. From the 812 Superfast to the GTC4Lusso T, explore the full range of Ferrari models and enjoy the unique experience of the Ferrari Atelier; a truly exclusive space where you can create your very own bespoke car with the assistance of our in-house experts. Committed to ensuring that they provide outstanding levels of customer service, our Sales team's passion and knowledge will also surprise you. In addition to new and used car sales, our full-service dealerships offer a suite of aftersales services that will ensure that your car continues to deliver the performance you expect, cared for by our expert team of technicians, service advisors and bodyshop team. Graypaul Motors Limited is directly authorised by the Financial Conduct Authority (FCA) for consumer credit activities. Our Firm Reference Number (FRN) is 688866. Graypaul Motors Ltd is also an Appointed Representative of Sytner Group Limited, which is authorised and regulated by the FCA for Insurance Mediation Activities, under FRN 310540.